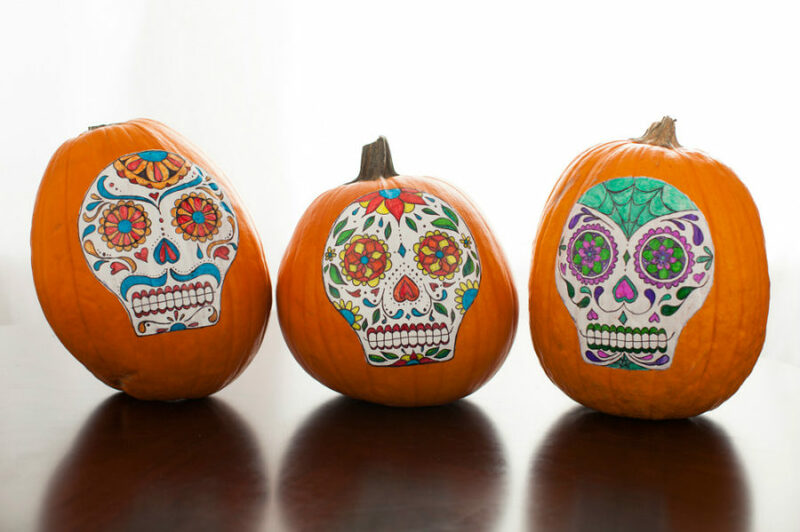 No carve pumpkin decorating ideas turn out to be more exciting and often less time-consuming than carving up Jack O’ Lanterns. 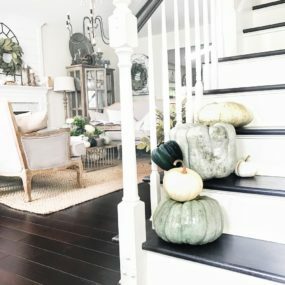 It’s no big deal when you have one pumpkin to carve or you use small varieties, but holiday decor usually requires quite a few pumpkins. 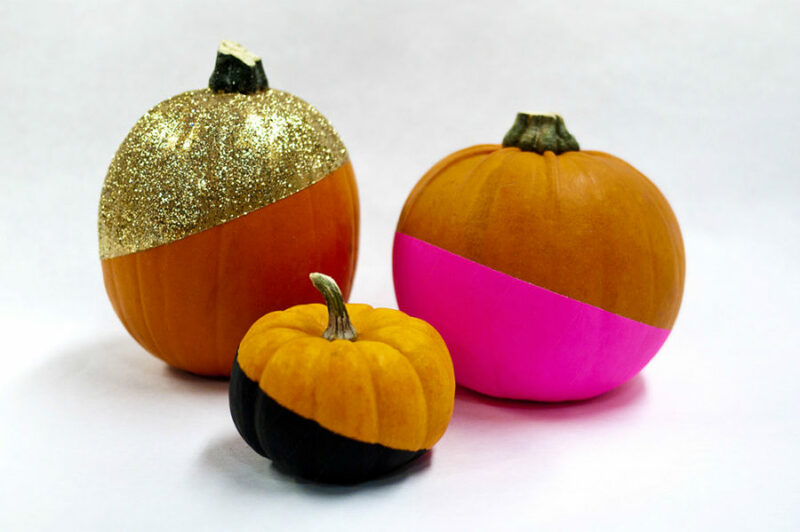 This year, instead of sharpening your knives, go to the crafts store and buy some paint, crayons, or glitter to make pumpkin decorating fun and interesting. 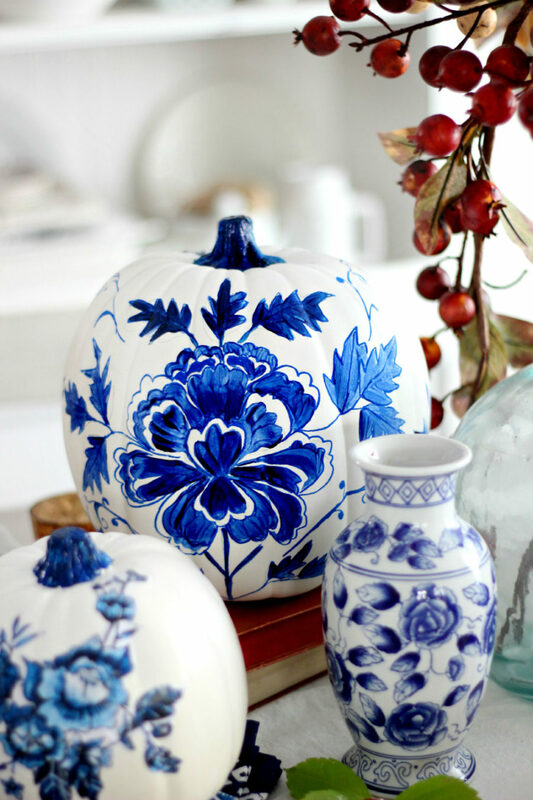 Paint is the easiest and cheapest decor solution not only for home but also pumpkins. 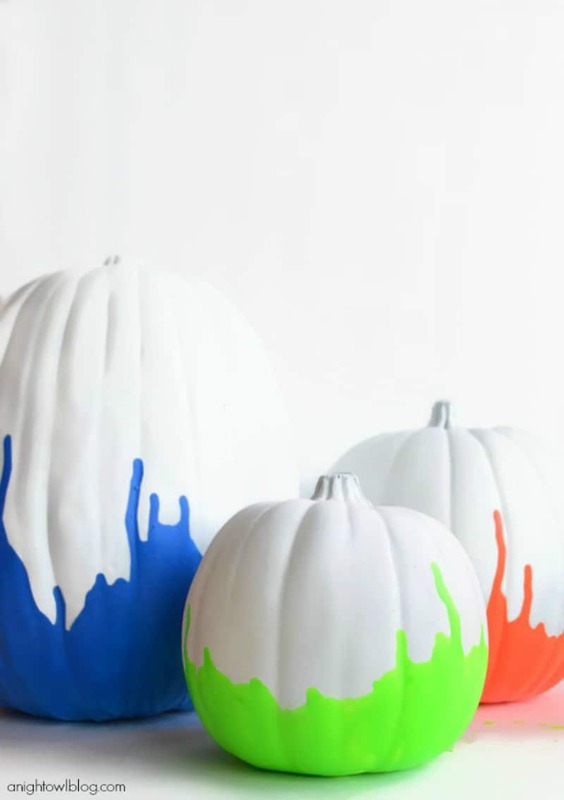 Whether you’re preparing your dwelling for Thanksgiving or Halloween, paint can spruce up the familiar orange and add a few unexpected accents to table decor or mantel. 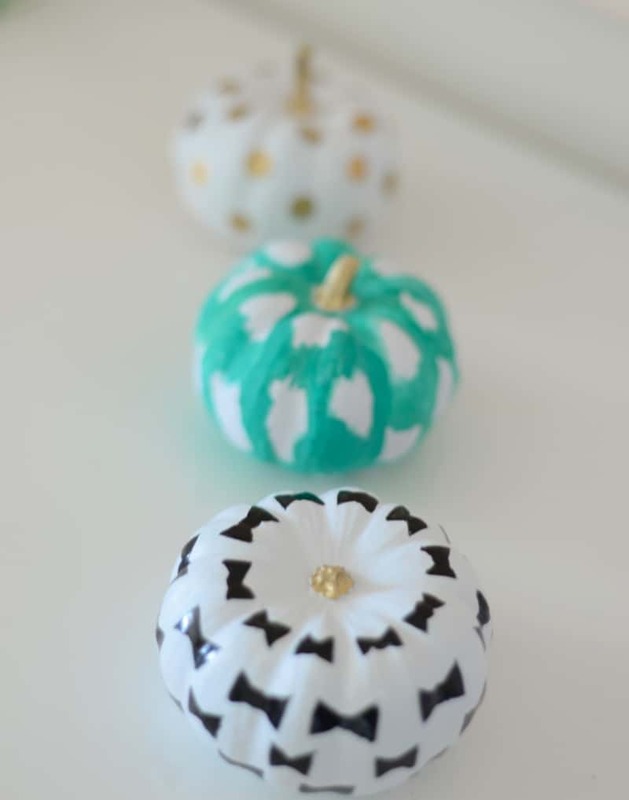 Painting techniques are so varied, no two painted pumpkins can look the same. 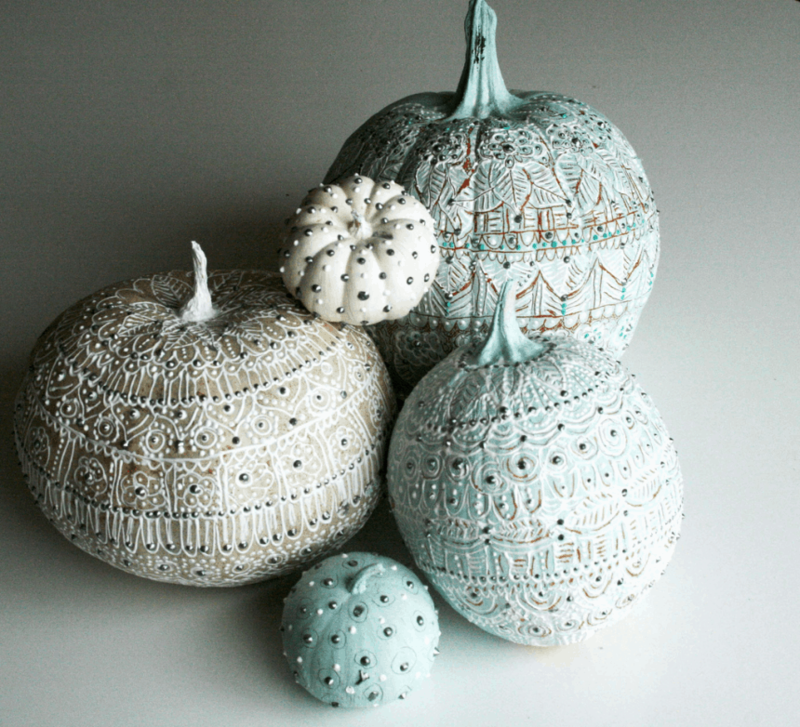 Dip them, brush stroke them, cover them with contrasting crackled paint. Options are limitless, and depend on the look you’re striving for. Paint also comes in a great variety of finishes – from matte to glossy to glittery. 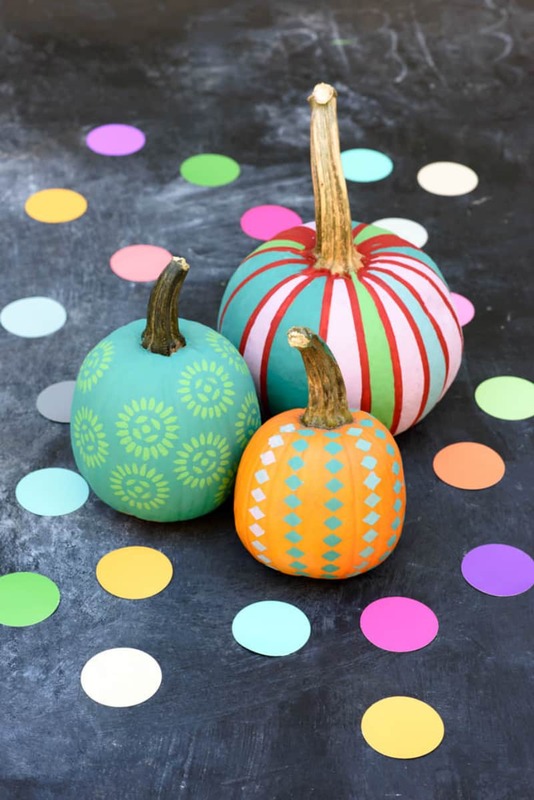 You can mix and match colors and use stencils to create patterns. Paint is an inexhaustible source of ideas and inspiration. 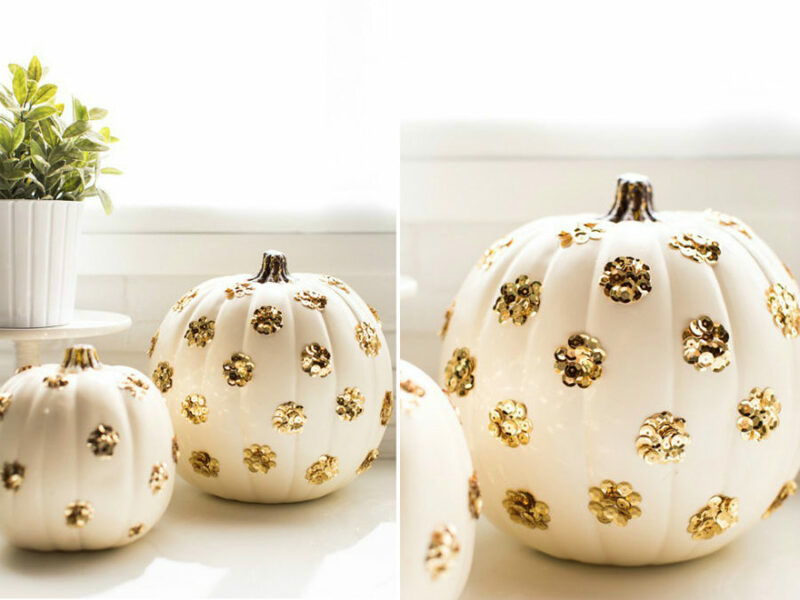 Another people’s favorite easy decor solution is glitter. It’s pretty straightforward in use, but you can still get more options out of it. Pairing it up with bright colors is one good idea. 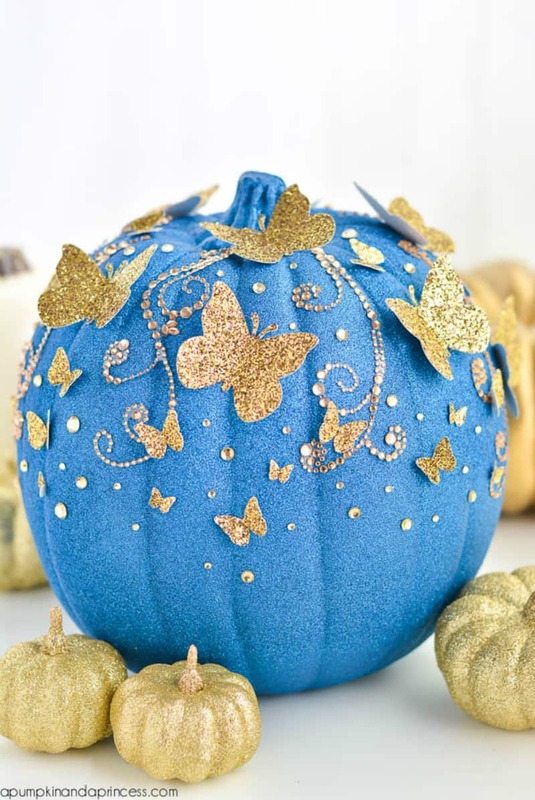 You can also use it to create a special effect like in this galaxy pumpkin or Cinderella pumpkin that looks positively princess-y. 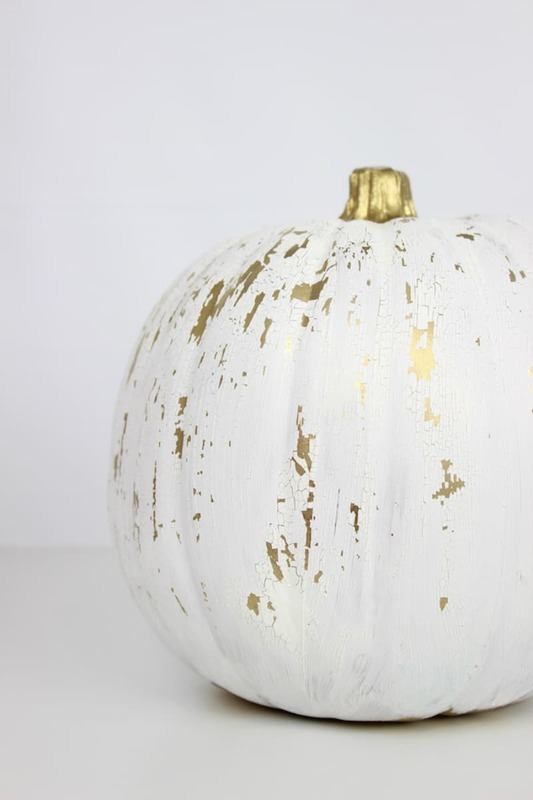 Glitter paint is easy to work with, but if you need to only partially cover your pumpkin, regular glitter and glue will be easier to work with. 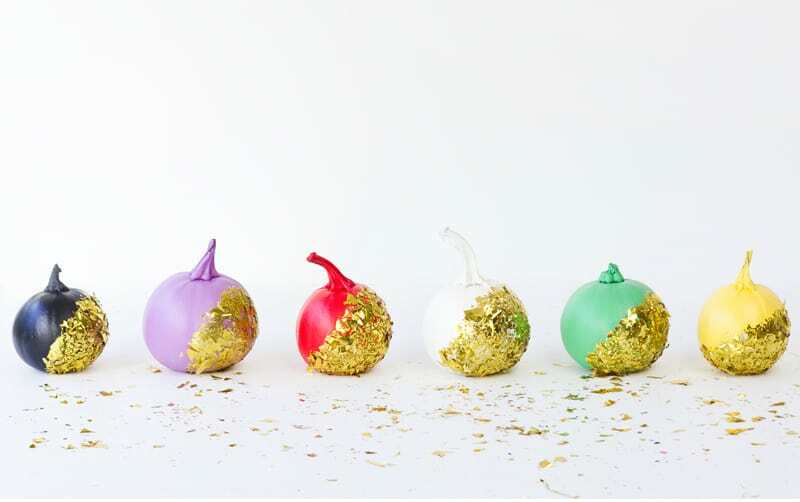 Confetti, sequins, and other glitzy things are a great glitter alternative, when you want to add texture or expensive lustre to your decorations. Besides, all of these things differ in sizes and shapes, so you can experiment further with them. Confetti, for example, can look like a gold leaf or metallic paper cut into different shapes. 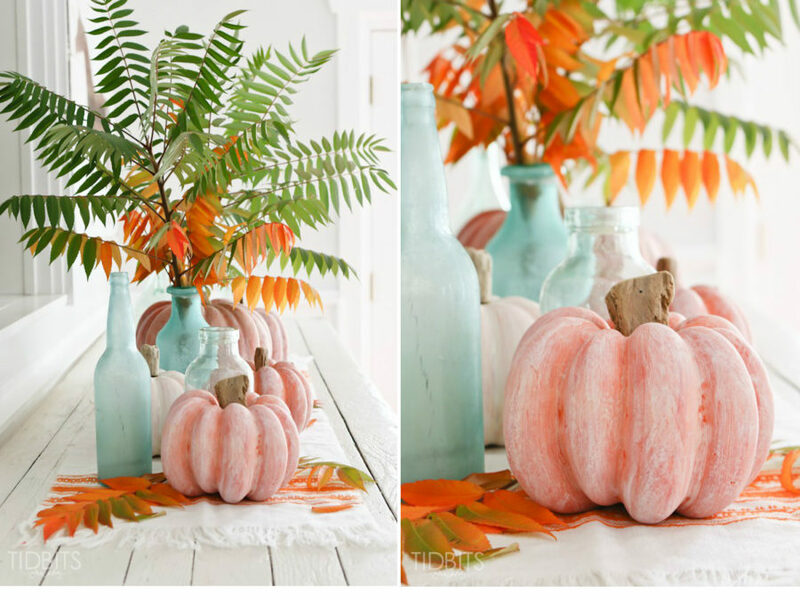 Both will give your pumpkin a different look. Sequins, on the other hand, look like oversized glitter, and can be used to create bigger shapes or patterns. 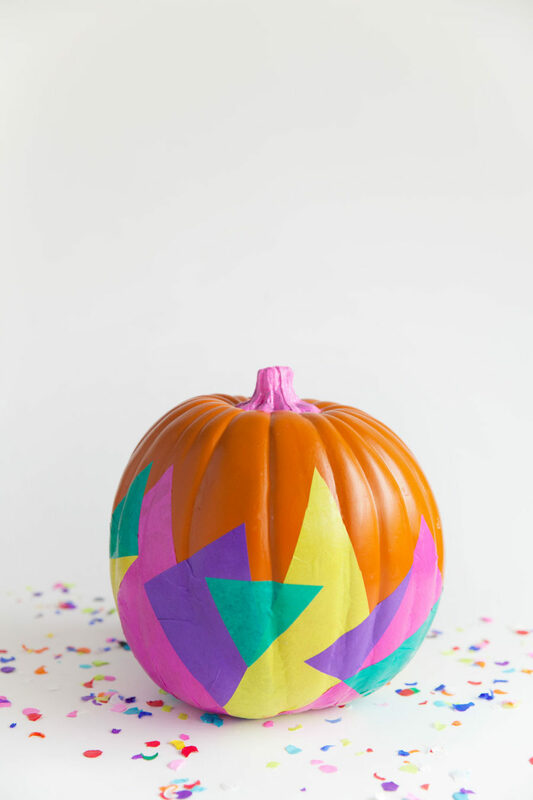 Another great way to decorate a pumpkin is to recreate a fashionable pattern to make a fashion statement in decor. 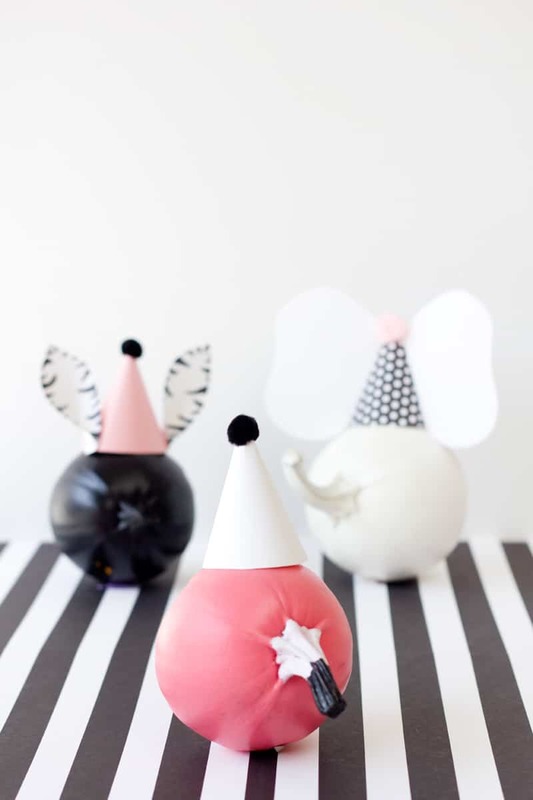 Some of the most recognized prints are easy to DIY. All you need is some practice, paint, and the right brush. A simply fashionable color or sheen may do the trick as well. 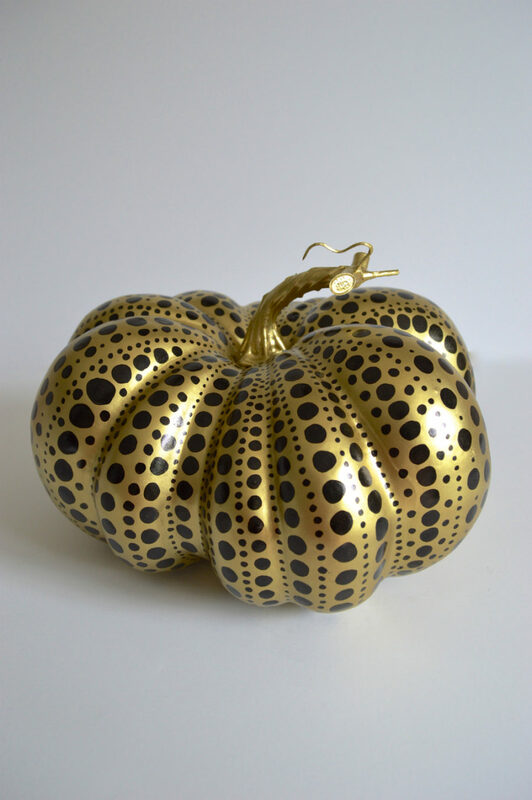 Metallics have been popular for a while in fashion and decor, and never fail to attract attention. 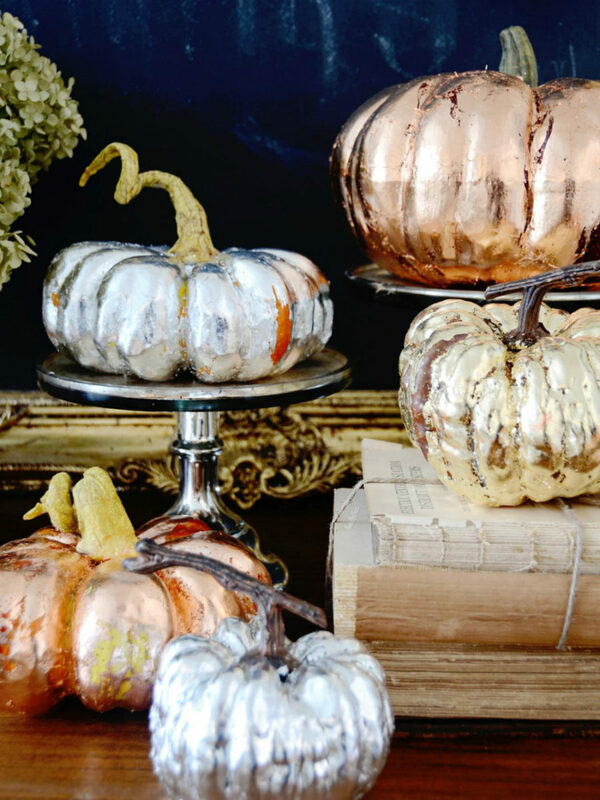 Copper, gold, bronze, chrome, or rose gold – pick something that fits your decor, or you could mix and match a few metallics for a greater effect. 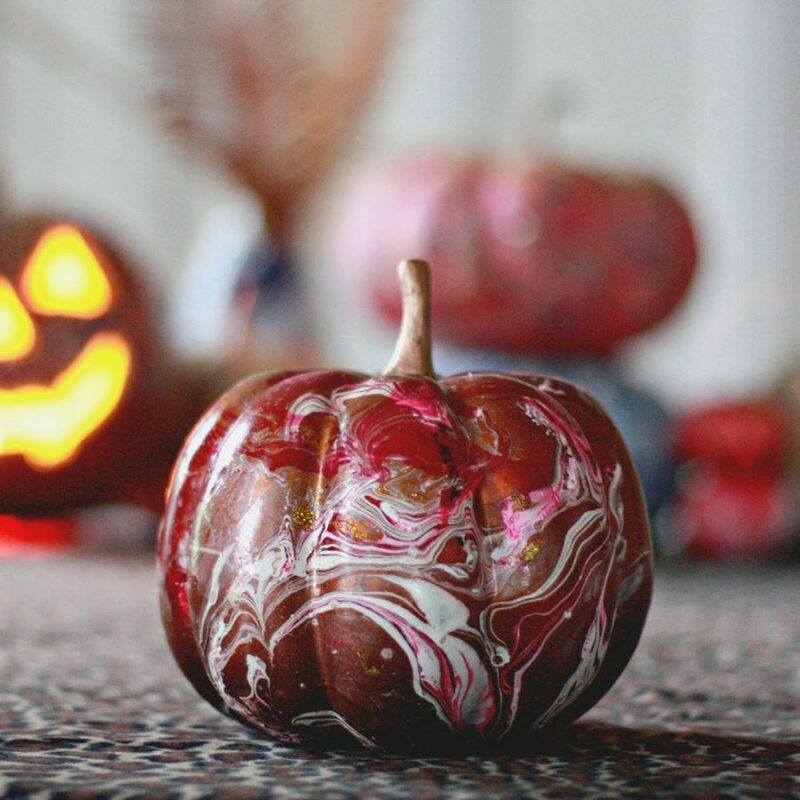 Decoupage may sound like something difficult, but it’s not as hard as you may think. 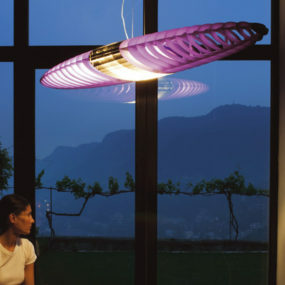 And it can give you many more decor options. 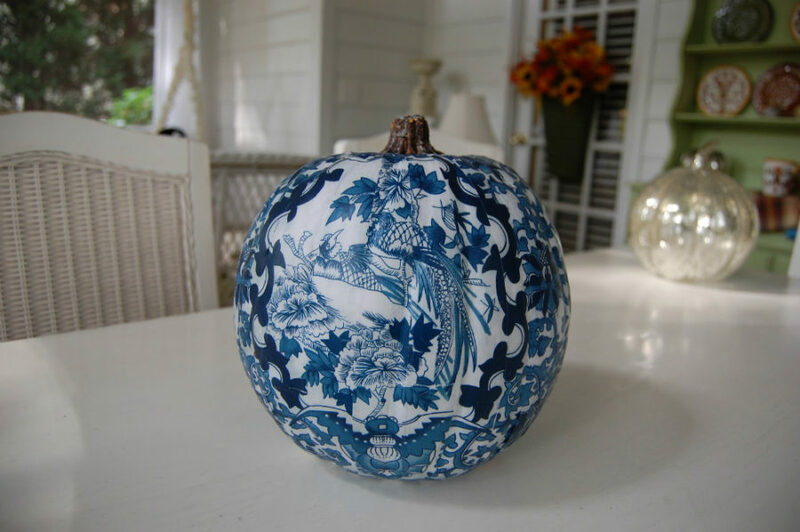 These patterns aren’t as easy to recreate by hand, so here is where decoupage can make elaborate things simple. 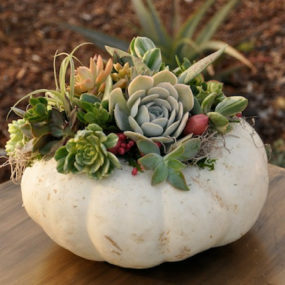 If you want, you can practice decoupaging on discarded objects before taking it to your pumpkins. 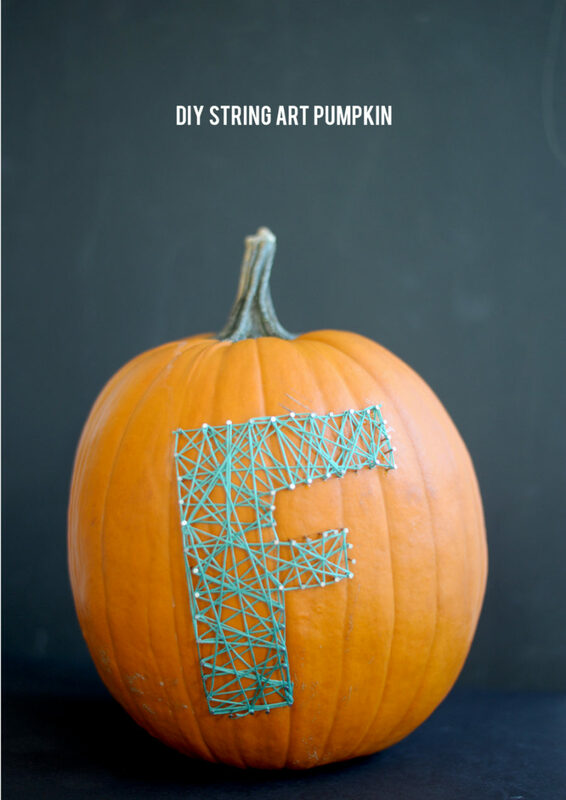 It is even encouraged, as you’ll be able to learn your mistakes, and prevent them in pumpkin decor. 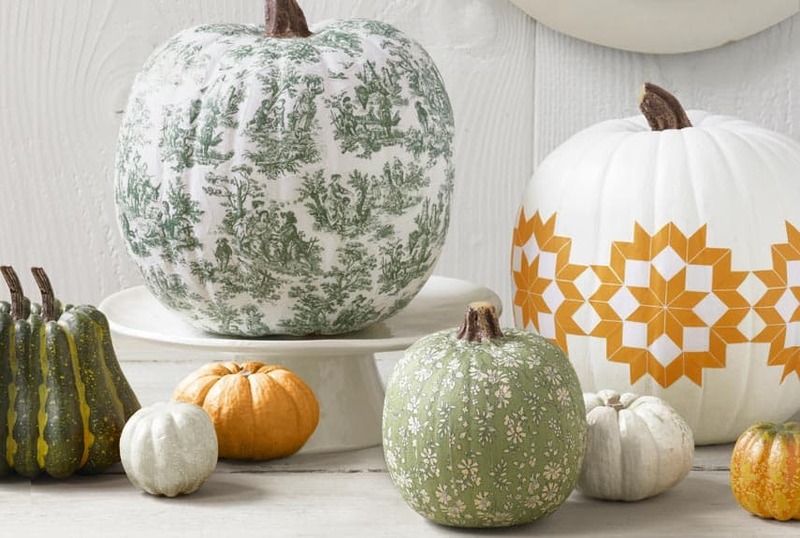 Decoupaged pumpkins are a great fit for Thanksgiving. Disguising them as china will create a very sophisticated table setting. 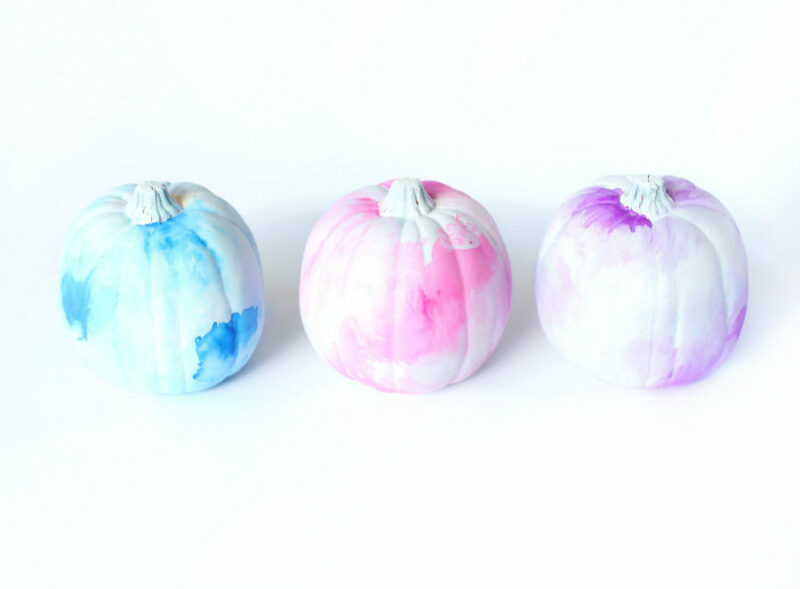 Beside decoupaging, you can turn your pumpkin into an artwork with a few brush strokes of watercolor or an elaborate pattern or drawing. 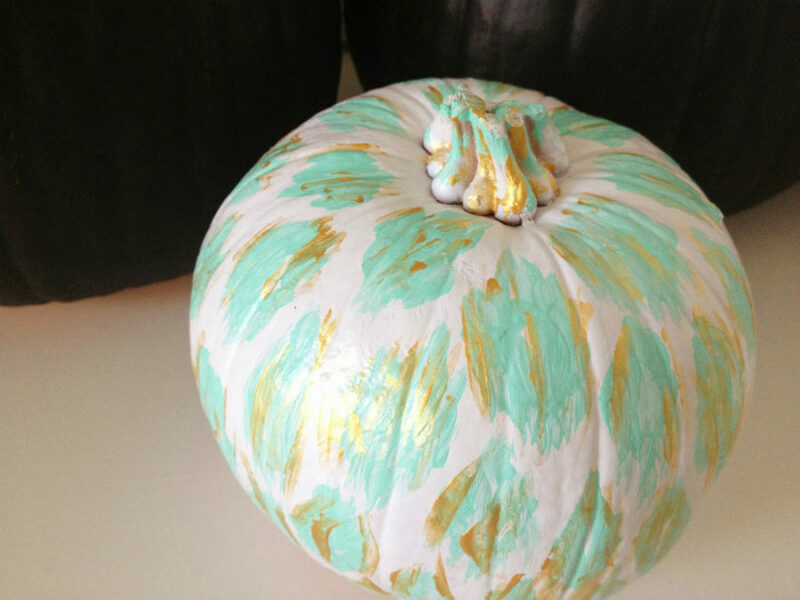 Big pumpkins make generous canvases for DIY art. 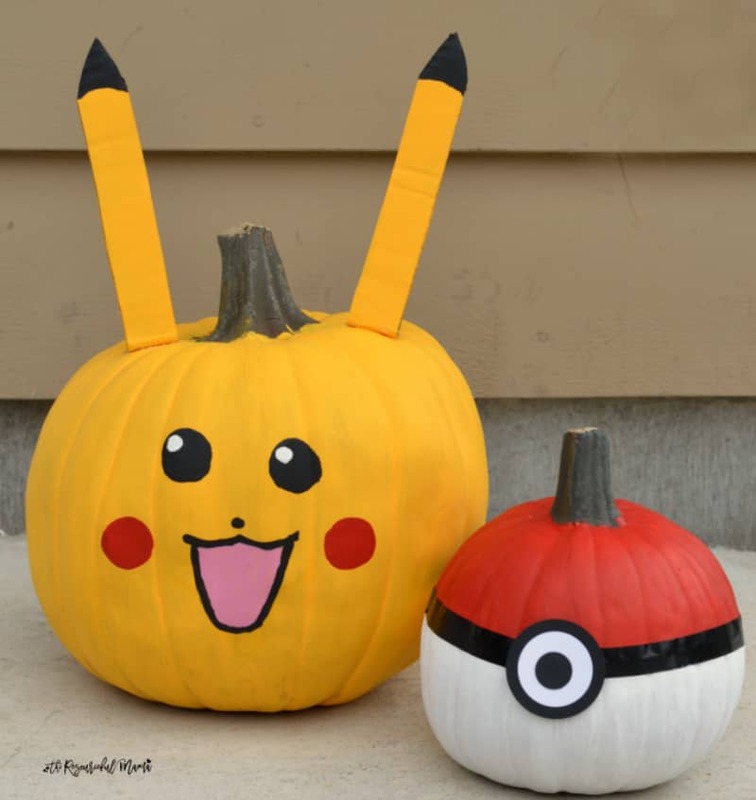 There are no limits to what you can depict on a pumpkin as long as there’s enough space and paint. 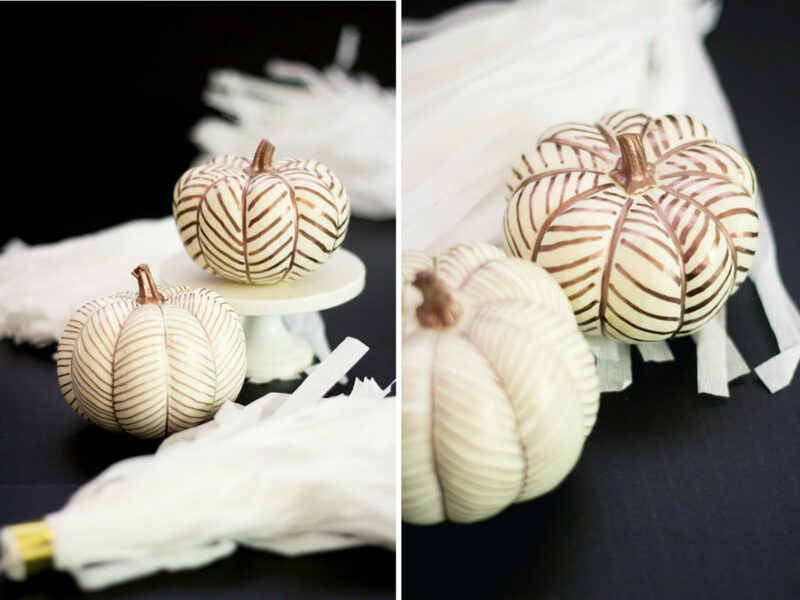 The artistic pumpkins make for great table display, and must be demonstrated on cake stands. 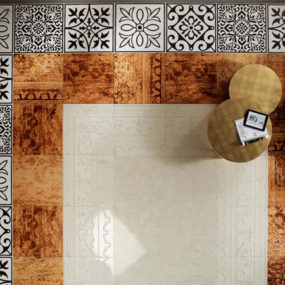 Geometrical patterns are still trendy, and they can turn anything into an eye candy. 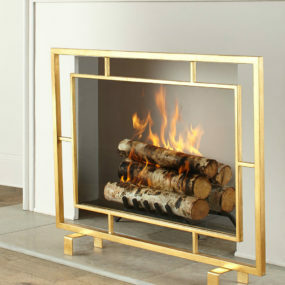 Besides, they are very modern and suiting for minimal contemporary interiors. 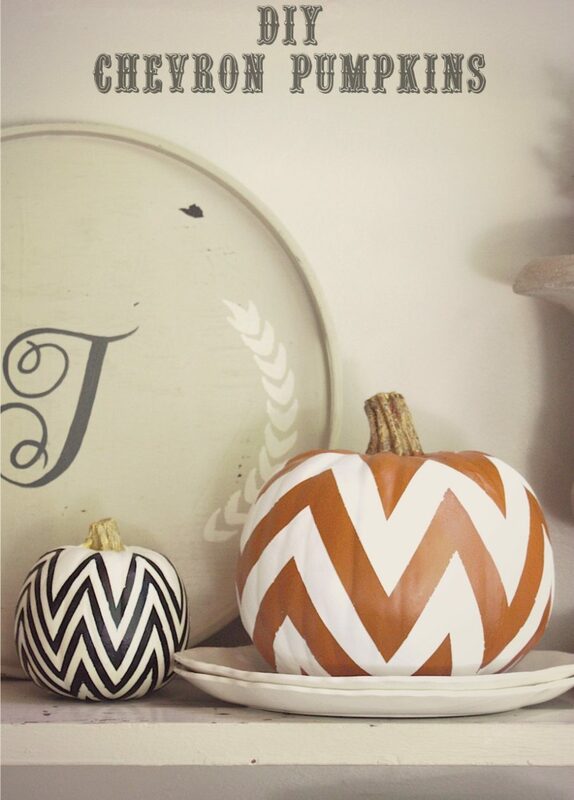 Chevron, herringbone, triangle – and every shape you’ve learned from a geometry class can become a beautiful accent on your Thanksgiving and Halloween pumpkin. Brights as well as black and white are perfect for geometric patterns, as the bold colors make patterns stand out more. 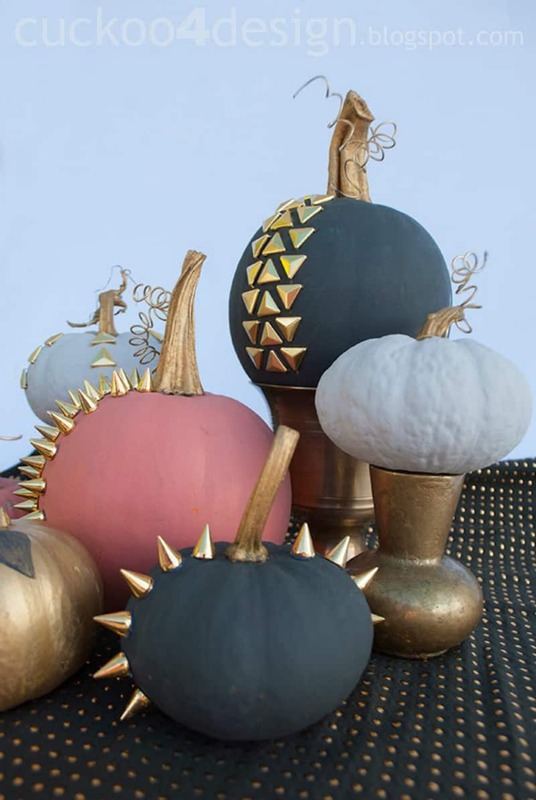 Pumpkins don’t necessarily have to look like themselves to be decorative. 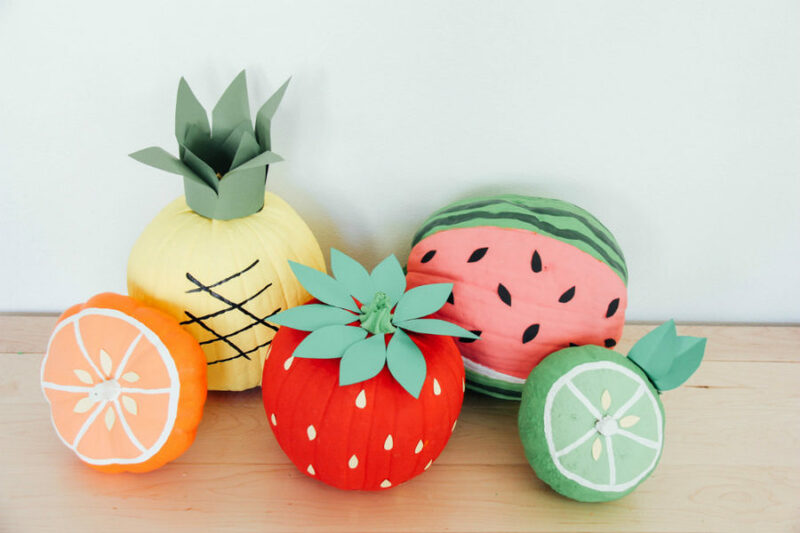 Besides, they can take shape of many other things like fruit, animals, tableware, etc. 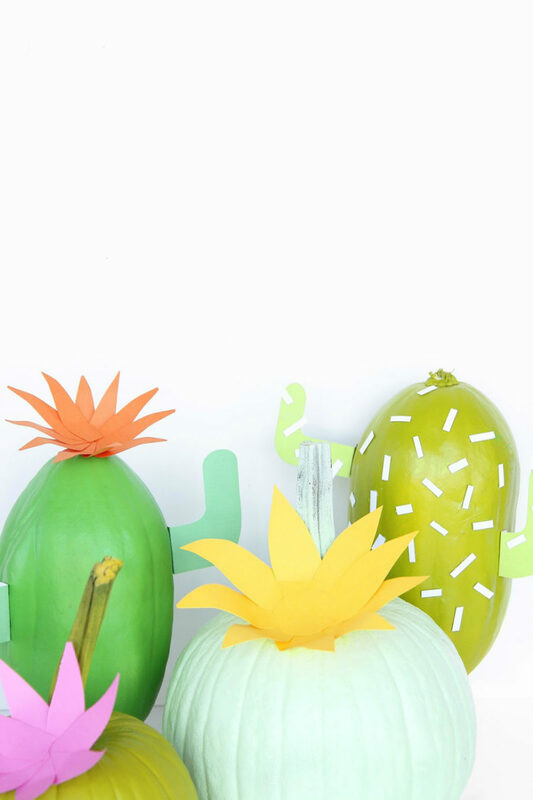 Adding a few extra details may help you turn a pumpkin into a cactus even. Take a brush to it and it may also become a marble or a piece of china. 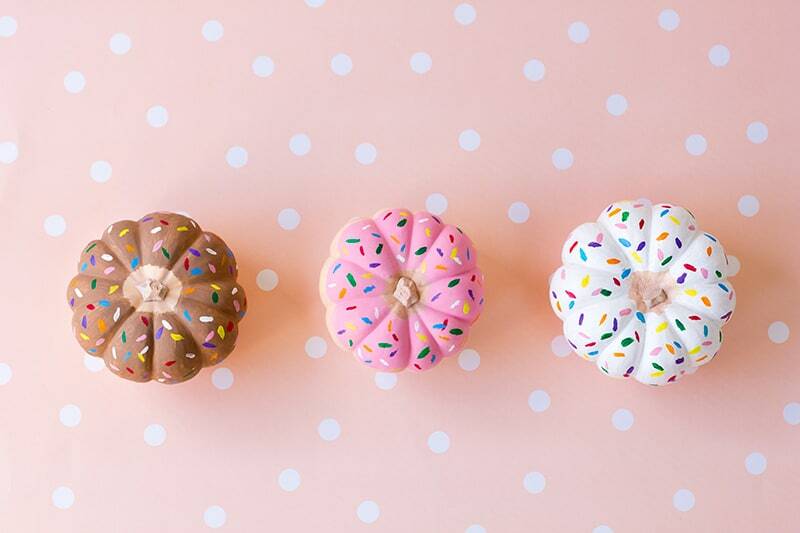 You can turn a pumpkin into a popular food item like a donut or a burger to amaze your guests or hint at the menu. 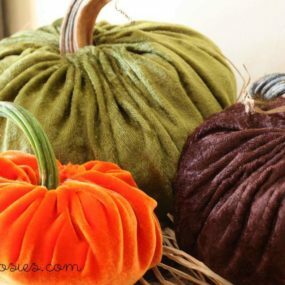 Orange isn’t a popular color neither in fashion nor in decor, but it is pretty popular among pumpkins. 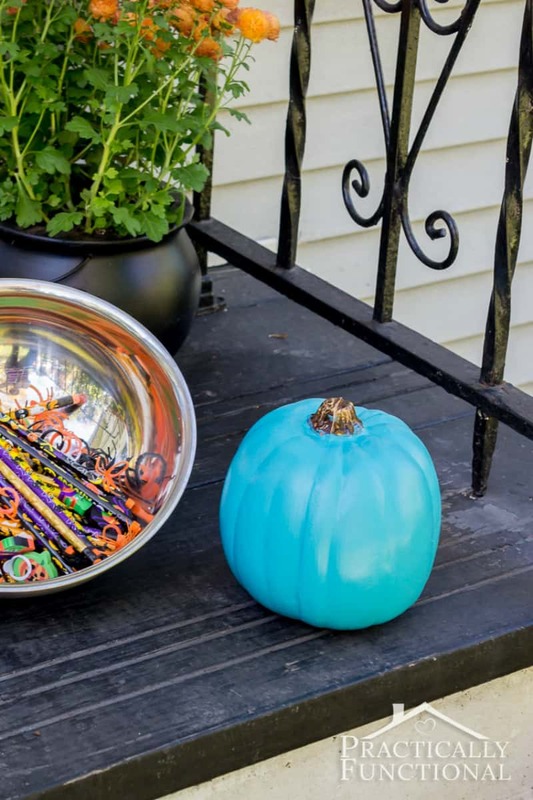 So if you don’t like the hue, or simply want to jazz up your fall decor, a colorful pumpkin (or three) may be just what you need. Neon brights and pastels are the two sides of the same coin. 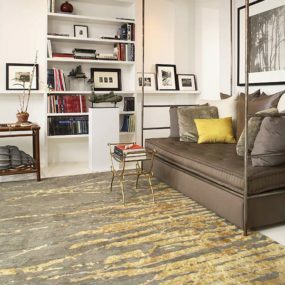 It’s all a matter of what kind of decor you’re looking for – springy and fresh or loud and kid-friendly. 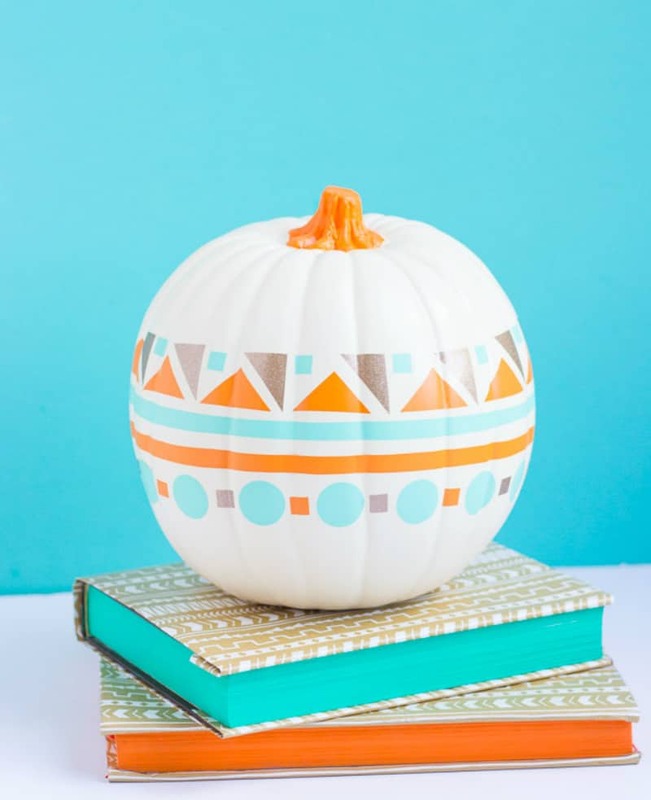 As you can see, it may not be as simple as painting a pumpkin a certain color. 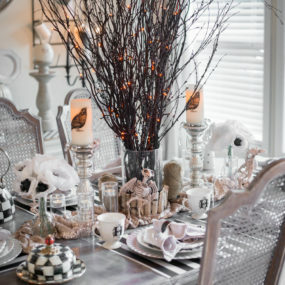 Some decorating ideas require a bit more effort and time. 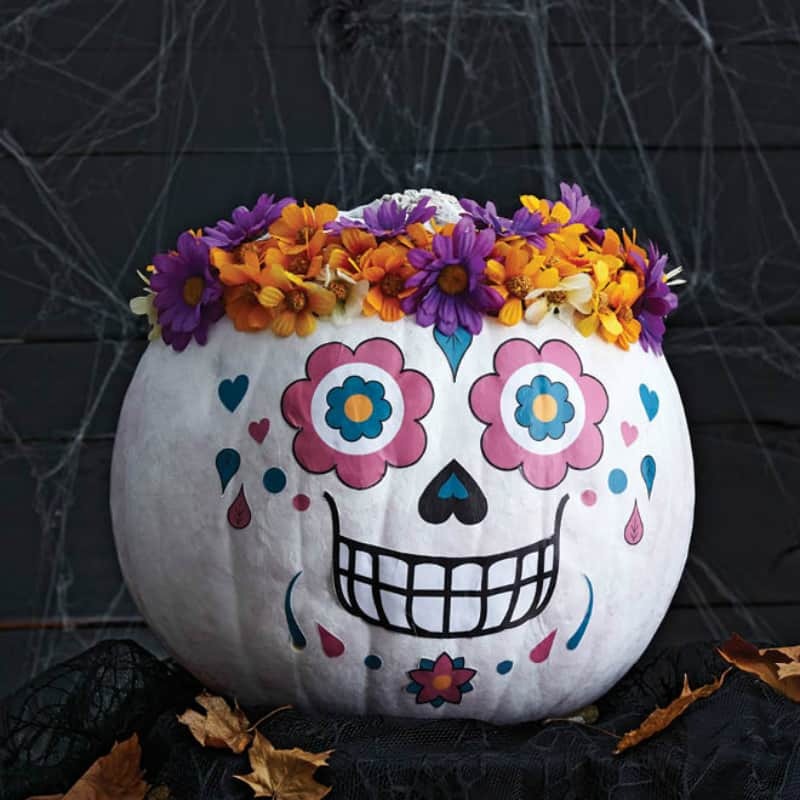 Sugar skulls are fun and decorative, and while they’d be a pain to carve up, they are pretty easy to draw. 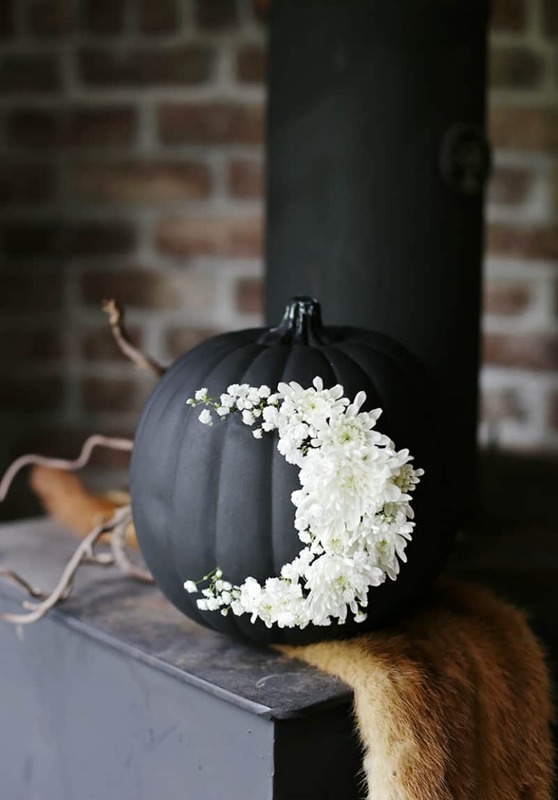 All you have to do to finish the look is make or buy a floral wreath to dress it up. 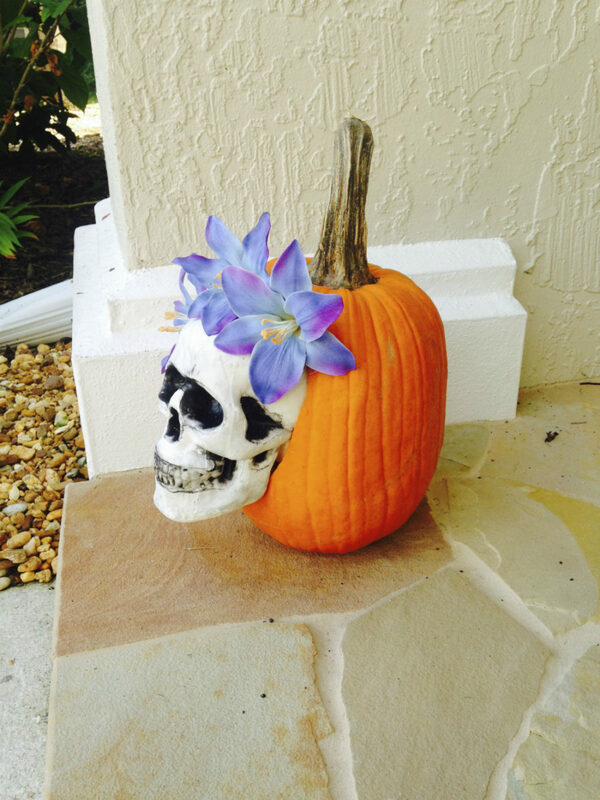 In case you really cannot draw, you can try and merge your pumpkin with a decorative skull. It makes for a very different look, but it’s no less decorative. 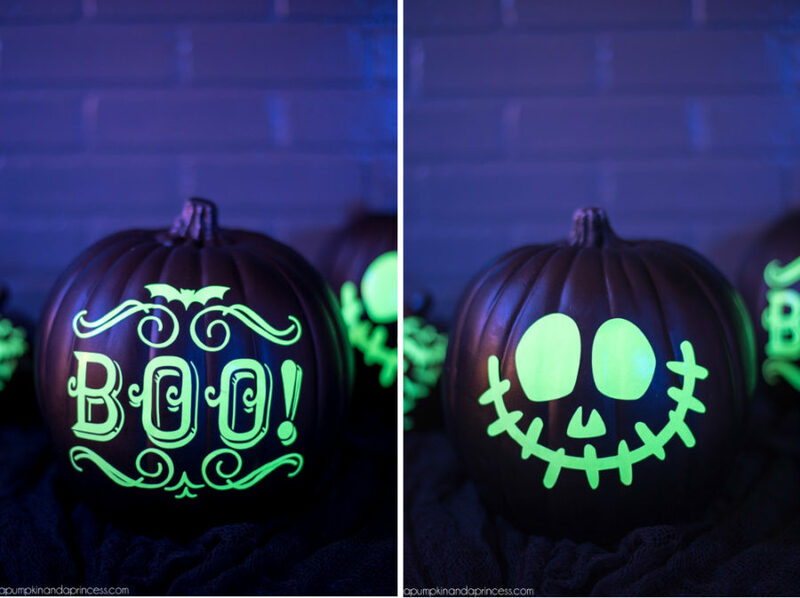 Want to make your pumpkins glow? 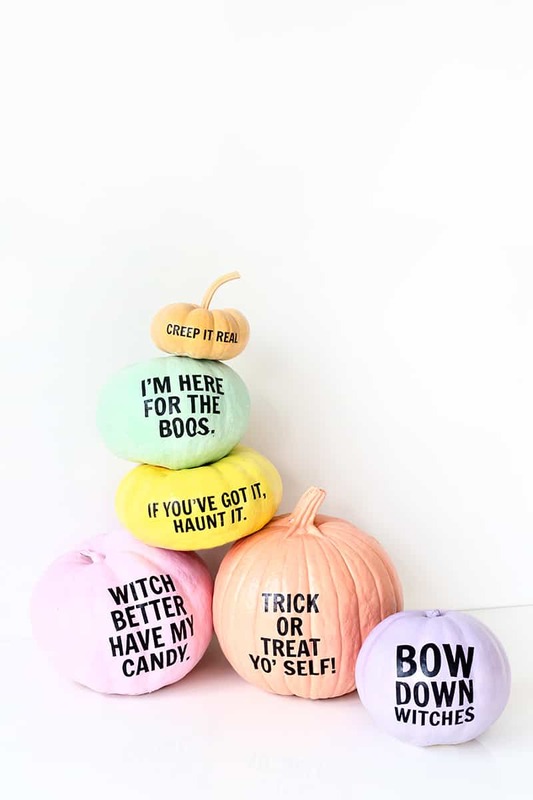 After all, they are called Jack O’ Lanterns for a reason. 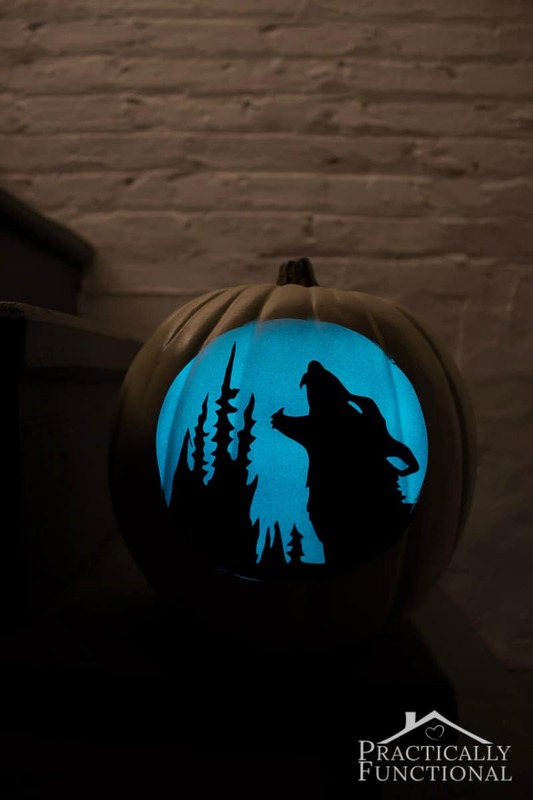 Well, a glow-in-the-dark paint can work wonders on anything, including a pumpkin. 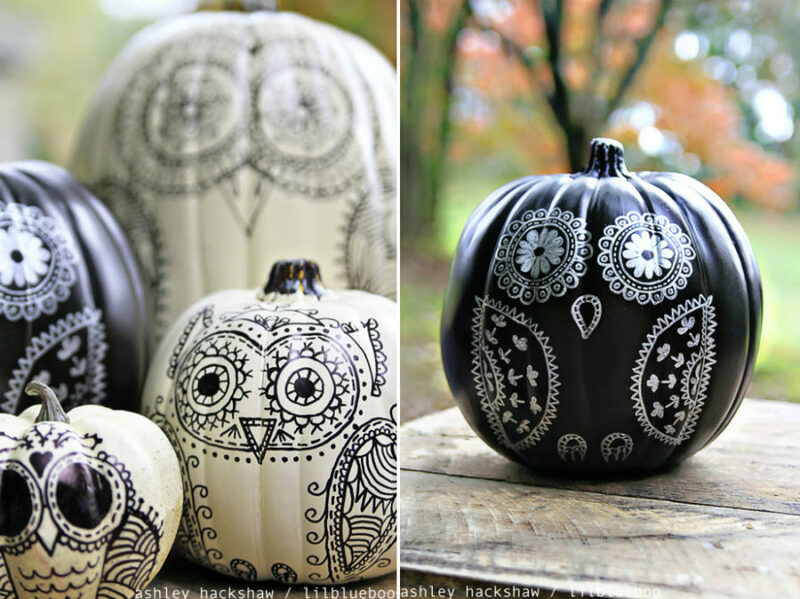 Just like with regular paint, you can stencil your canvas or hand draw the designs or patterns you’d like to see when the lights got out. 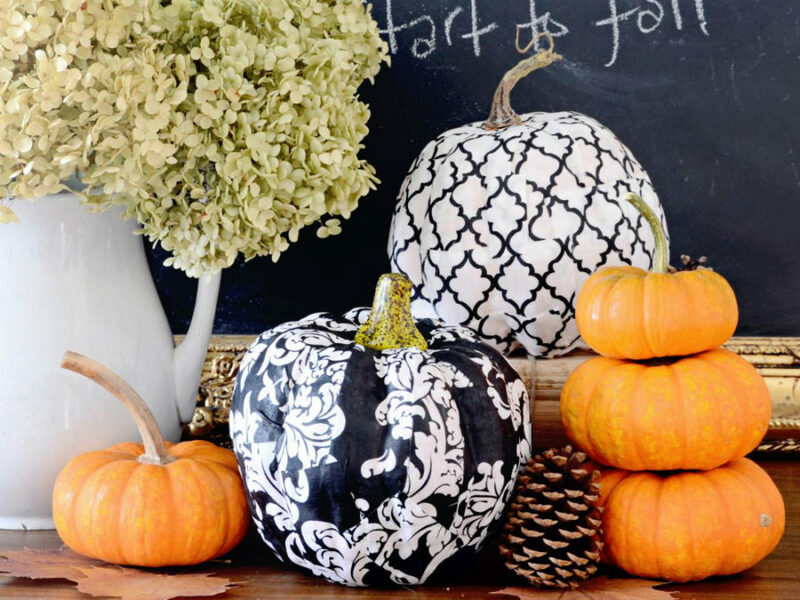 These no carve pumpkin decorating ideas are truly different. They involve almost no regular recommendations that you will find in other tutorials. 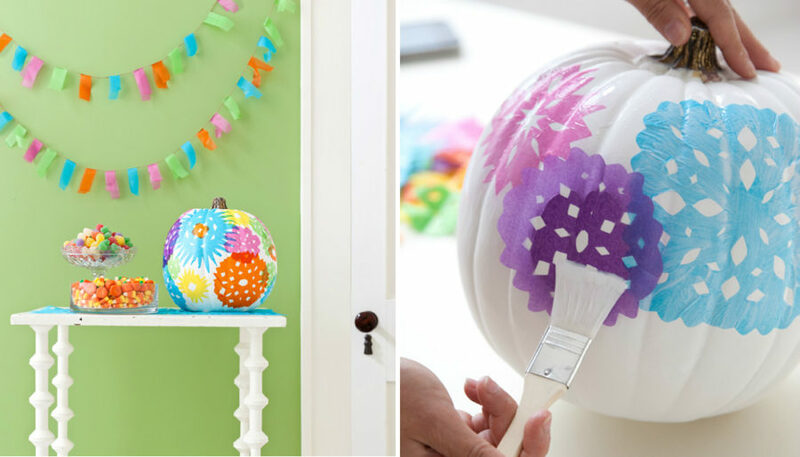 Fresh flowers, string art, and whitewashing is a creative way to start a holiday season. Just look at that white bloom crescent moon! It’s like nothing you’ve ever seen. 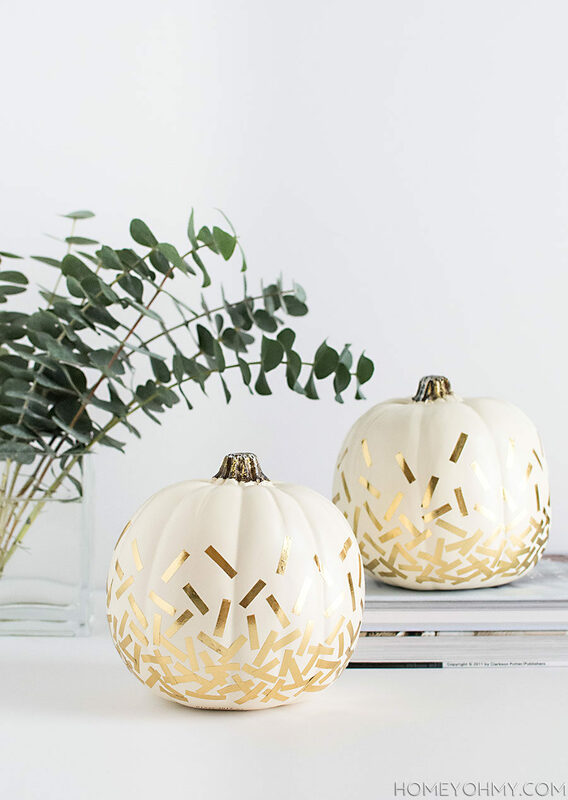 The beauty of no carve pumpkin decorating ideas is that they don’t necessarily look like they belong to a certain holiday, so you can keep them in your home decor for as long as they stay fresh.